BPDS is the leading South Wales provider for Cosmetic Orthodontics in Dental Practice offering a wide range of treatment options to suit all. 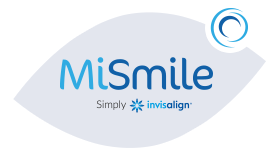 Part of the MiSmile network with over 1000 Invisalign treatments provided UK wide. Don’t leave it too late to start… Improvements can be made over a few months but full treatment can take two years or more for complex cases. 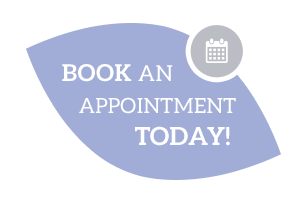 Book a FREE smile evaluation to see what treatment may be suitable for you. Flexible payment terms are available. See our Orthodontic Prices for more details. To arrange an appointment, call 01291 624515, email CosmeticOrtho@beaufortdentalcare.co.uk or text ‘Smile Design’ and your name to 87007. “For a long time, I have been very conscious of my smile, so I decided to book a consultation for C-fast at Beaufort Park. After having my fixed appliance off today, I cannot believe I put this off for so long and within just 6 months, I now have the perfect smile I have always wanted and can now finally smile with confidence. Cosmetic Orthodontics focuses on providing an optimal aesthetic result. 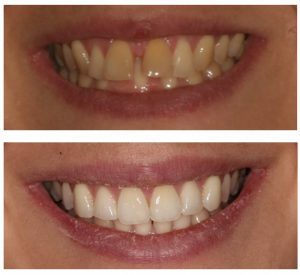 Treatment with an aesthetically focused practitioner allows a unifed approach to the orthodontic treatment with any restorative smile improvements. Planning the ideal end result and integrating all aspects of the treatment gives efficiency of cosmetic treatment combined with preserving your natural teeth. *Initially free consultation and e-consultation do not include a full dental examination. This will be used to give an indication of the suitablility and options for cosmetic orthodontics. A full assessment will be required before treatment can be started.